From earthquakes in Indonesia, flooding in Japan and a volcanic eruption in Guatemala, here are 10 of 2018's deadliest natural disasters. From earthquakes in Indonesia, flooding in Japan and a volcanic eruption in Guatemala, thousands have lost their lives in natural disasters in 2018, and hundreds of thousands more were injured or displaced. The ongoing deadly wildfires in California underscore how rapidly natural disasters can become deadly. Here are 10 of the deadliest natural disasters in 2018, according to data from the Centre for Research on the Epidemiology of Disasters, based in Belgium. 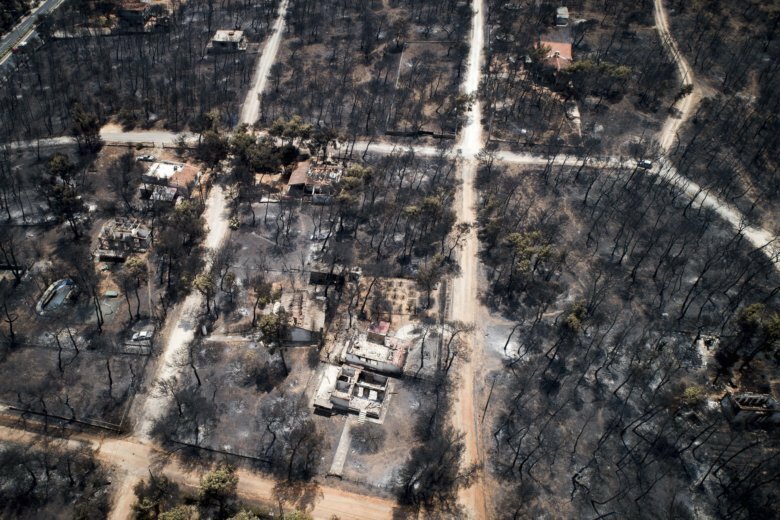 Fierce wildfires tore through a coastal area of Greece in late July. While most victims died in the fire, some drowned in the sea as they attempted to flee the flames, according to news reports. A 7.5 magnitude earthquake struck the Southern Highlands province of Papua New Guinea in February, triggering a major aftershock and some landslides. Close to half a million people were affected by the disaster, according to ReliefWeb. Heavy rains at the end of August and in early September caused dangerous flooding and landslides in North Korea, which destroyed more than 800 buildings, the International Federation of Red Cross and Red Crescent Societies reported. Temperatures in the Pakistani city of Karachi stayed above 104 degrees Fahrenheit for several days in May, according to news reports. The heat wave coincided with power cuts and Ramadan, a month when many Muslims refrain from eating or drinking during the daytime. Most of those who died were from poor areas, and included children and elderly people, the reports said. September flooding in Nigeria displaced more than half a million people and, according to FloodList, destroyed more than 13,000 homes. The floods struck one-third of Nigeria’s 36 states, affecting nearly 2 million people. Torrential rain and landslides impacted large areas of Japan in July, killing more than 200 people. Officials said the flooding was particularly bad because much of the rain fell in mountainous areas and funneled down into cities, CNN reported. In Uwajima, a city on Japan’s Shikoku island, local news stations reported that almost 15 inches of rain fell in two hours on one Sunday morning, according to CNN’s report. Monsoon flooding in India killed more than 300 people in August, mostly in the southern Indian state of Kerala. The Kerala government said many victims died after being crushed by debris after landslides, the BBC reported. Officials said it was the worst flood recorded in 100 years. When Guatemala’s Fuego volcano erupted in early June, surrounding areas were soon engulfed in a deadly pyroclastic flow, a mixture of hot gas and volcanic rock that can move at speeds up to 90 miles per hour, according to The New York Times. The ground was so hot in areas that the soles of some rescue workers’ boots were coming apart. On Aug. 5, a 6.9 magnitude earthquake struck the Indonesian island of Lombok and neighboring Bali. The earthquake was preceded with a 6.4 magnitude quake in late July, and the areas also were hit with a number of aftershocks.